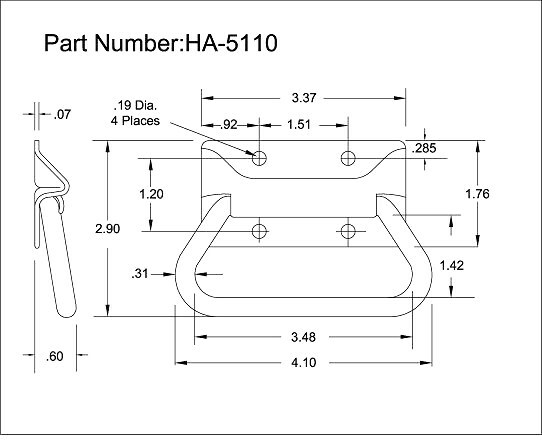 Request a quote for HA-5110 - Chest Handle today. JBF National chest handles are manufactured from the highest quality materials. They are designed and tested for ultimate reliability and durability. 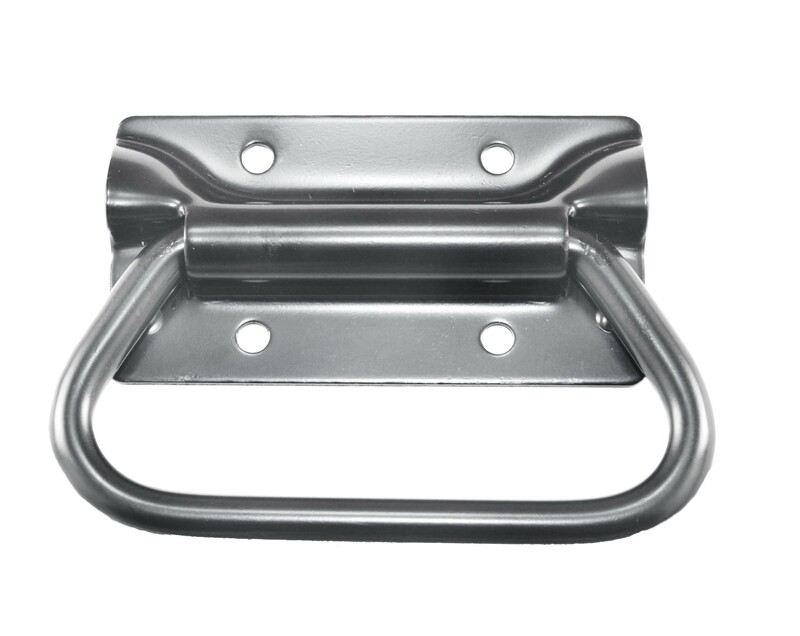 HA-5110 is manufactured from steel or stainless steel in a variety of finishes including clear passivated, clear zinc, nickel, black enamel, or no finish. This handle features a 90 degree handle stop and has been tested to 400 Lbs. Available with or without mounting holes. Please see component diagram below. HA-5110-ST-NF-190 Steel / No Finish / 190 Hole Dia.